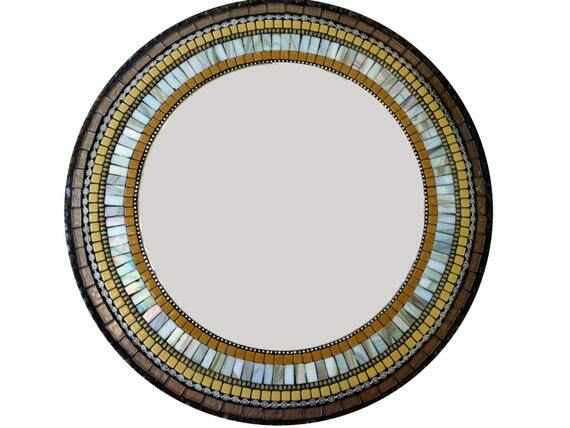 This round, glass mosaic mixed media mosaic wall mirror is an absolute piece of art. The colors are soothing earth tones (browns, mustard yellows, whites, silvers). This jeweled mosaic accent mirror would be a beautiful addition to any room in your home - bathroom, living room, hallway, bedroom.